Our mission is to promote the economic empowerment of women. And that involves being part of the community and building it up. Below are just a few of our recent appearances. Helen joined Tarra Jackson and Madi Gilroy on GPB's "On Second Thought" radio show to discuss how they combat sexism in the financial industry, the gender pay gap, and how to be a mentor for other women seeking finance as a profession. Invest In Women is the leading forum nationwide to explore, discuss and learn about issues that are meaningful for women financial advisors and female clients. 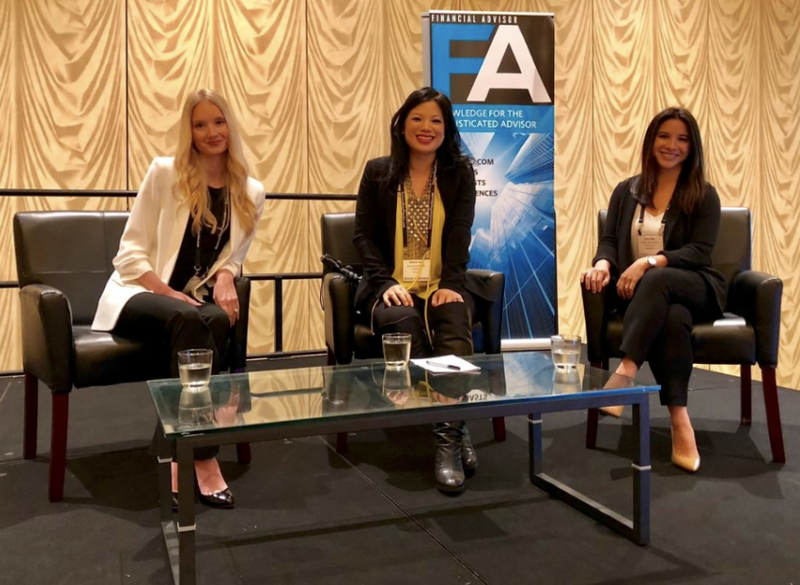 With advisors, Winnie Sun and Heather Townsend, Helen shared her vision of where the financial services industry should head to include more women and diversity of cognition and thought. "Always know what you're asking for at work and in business." 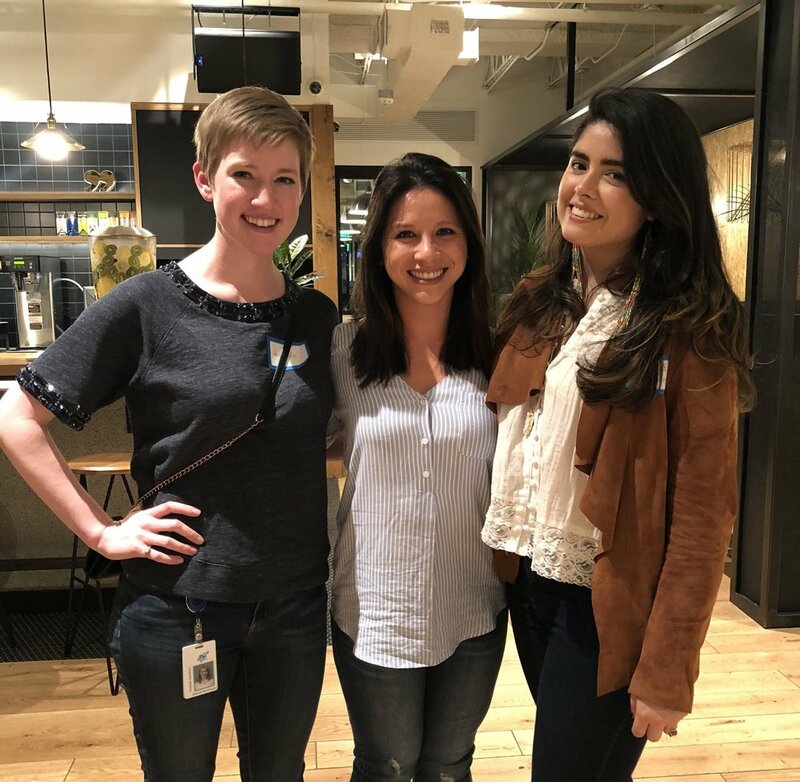 Helen hosted a round table for local women who want to advance their careers, opening the dialogue of getting paid what you deserve and how to ask for a raise with confidence. Helen visited her alma mater, Emory University, to teach graduating nursing students practical, real life money skills they don't teach you in school, such as what benefits to sign up for at work and how to read your pay stub. As the 2017 Atlanta AmBOSSador, Helen shared how she became the boss of her own life and passed the torch to Dr. Nicole Cabrera Salazar, an outspoken speaker and strong advocate for minority students pursuing higher degrees in astronomy and other STEM fields. Helen shared her wisdom about the importance and urgency of saving early in your life and what steps you can take to become financially independent without having to wait til your're "retirement age." In this collaborative workshop with #gowrkgrls, Helen shared how to get business budgeting and expense tracking off to a running start in the new year. She also addressed potential business expenses to write off, financial do’s and don’ts to keep you out of trouble with the IRS, tax benefits your business can gain from, bonafide expense-tracking tools and more.